Give your wallet a break and make yourself a smores iced coffee every time you crave it. Summer’s favorite flavor without all the sticky mess. My love for coffee shop coffee has been mentioned quite a few times on the blog. It’s my love/hate relationship. As much as I love it, I simply can not afford to buy one every time I pass a coffee shop. So I try to behave and only once in a while actually treat myself to a fancy drink. My latest addition is the “limited edition” S’mores frappuccino. There’s something about that “limited edition” thing that draws me right it. I rush for fear I’m gonna be left out. Everyone will get their coffee but me. Anyhow, after having only a few S’mores frappuccinos last year, I was looking forward to their return this summer. And they did not disappoint. Disappointing is just the price tag. Or was the price tag until I figured out I can make it at home, put my feet up and relax in the sun. Now, as much as I love the frappuccino, the idea of taking out the blender to mix the ingredients every time I craved one was definitely not putting a smile on my face. Can you imagine taking your blender out (and wash all those parts) 1-2 times a day just to make coffee? Yeah, I don’t love coffee THAT much! Thus Smores iced coffee!!! No blender needed, just a spoon, a glass and a couple of ingredients. To simplify my smores iced coffee even more, instead of brewing my own coffee, waiting for it to cool down or using ice cubes, I reached to one of my favorite summer drinks. 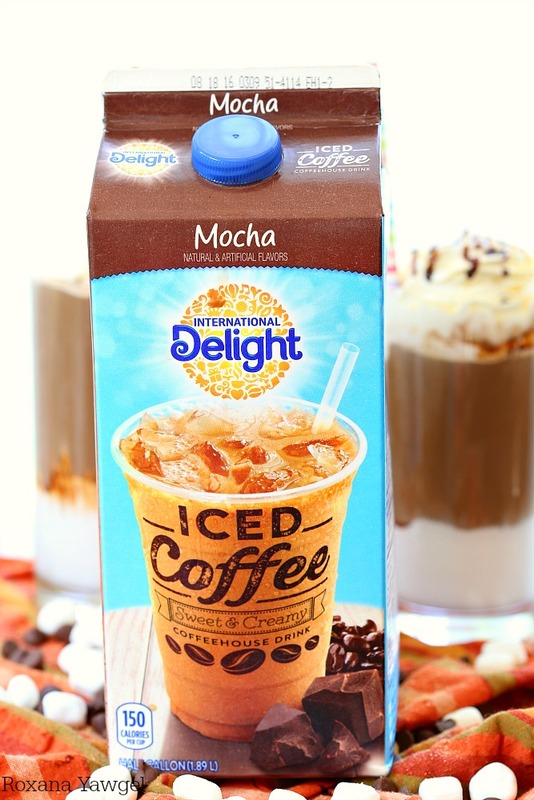 International Delight Iced Coffee! The Mocha flavor is my favorite. It comes in regular and light and you should be able to find it at your local grocery store in the refrigerated isle near the International Delight coffee creamer. To make your smores iced coffee you start with a little marshmallow fluff. With a small spatula or the back of a spoon, spread about 1 generous tablespoon of marshmallow fluff onto the bottom and about 1 inch on the sides of a tall glass. Next drizzle some chocolate syrup on the sides, above the marshmallow fluff. Third, fill the glass with International delight iced coffee. 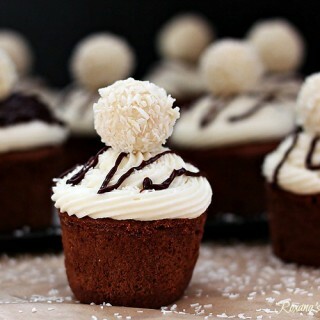 Finish with a little bit of whipped cream, a sprinkle of crushed graham crackers and a drizzle of more chocolate syrup. Take a sip and relax! 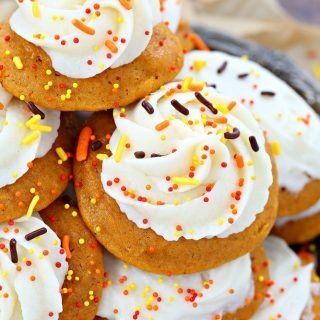 Keep up with International Delight update by signing up for their newsletter, follow along of Facebook, Instagram, Twitter and Pinterest. In a tall glass add the marshmallow fluff. With a spatula or the back of a spoon, spread the marshmallow fluff on the bottom and about 1 inch on the sides of the glass. Drizzle the chocolate syrup about 1 inch on the sides above the marshmallow fluff. Fill the glass with International Delight iced coffee. 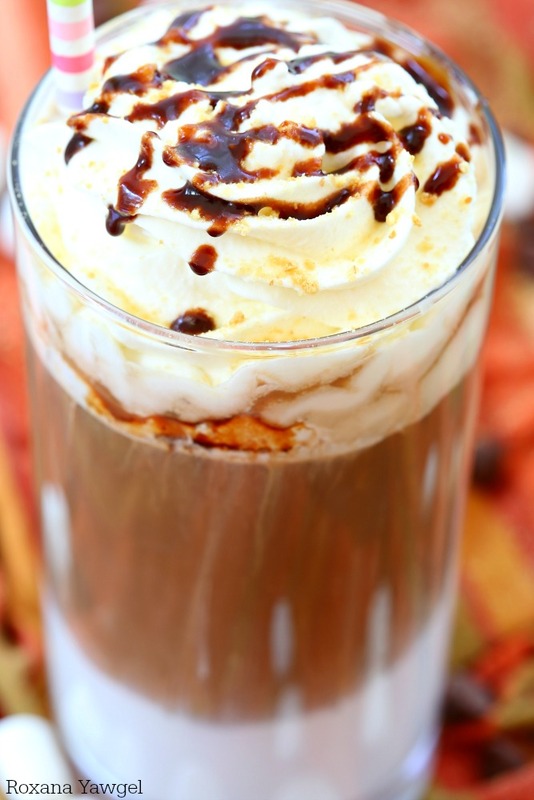 Top your coffee with whipped cream, a sprinkle of crushed graham crackers and a drizzle of chocolate syrup. How pretty is this drink? Sounds delicious! OH, what a brilliant idea! 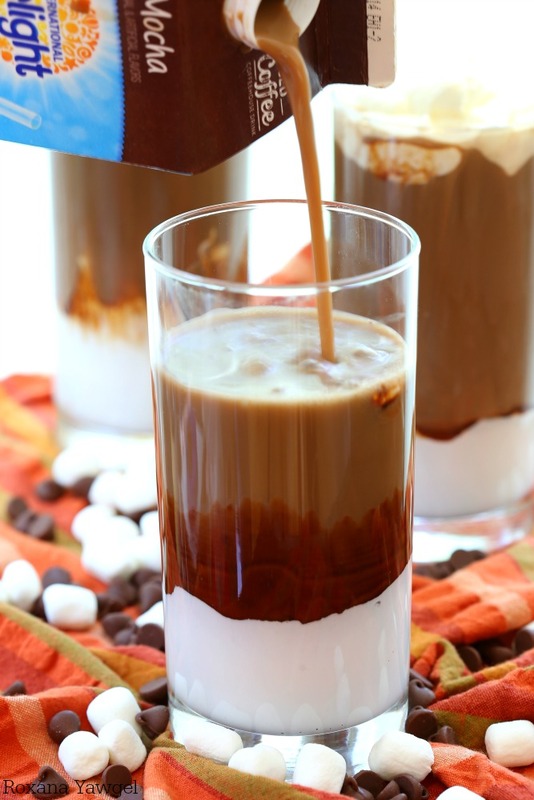 I've been all about the iced coffee AND the s'mores lately, so I'll definitely be trying this. My hubby loves coffee as much as you do. I always joke he should rent a room at the coffee shop. Ha! I'm going to have to whip this up for him. You're a genius Roxana. This is seriously amazing. What??? S'mores iced coffee? Brilliant. Seriously. Marshmallow Fluff and coffee!! oh you speak my love language!!! 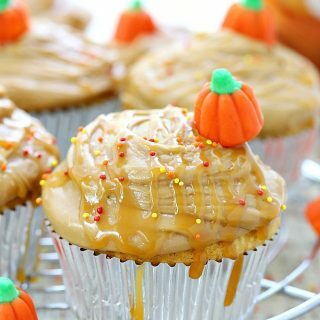 You totally nailed this recipe! I love how easy it is and so much more budget friendly than the coffee shop! Umm, this is pure genius! I love, love their s'mores coffee, but my heart breaks every time I see the price. I am trying this asap! I completely LOVE the layers in this! What a fabulous idea, Roxana! Oh my goodness! This coffee is layers of sweet flavor!